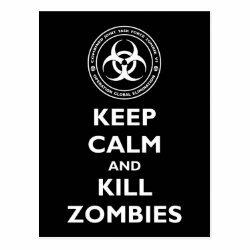 What should you do when the zombie apocalypse comes? 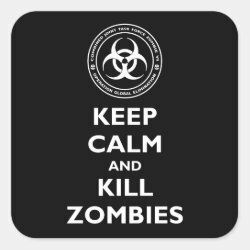 We have two tips for you: 1. 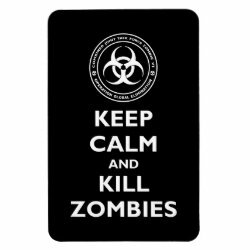 Keep Calm, and 2. 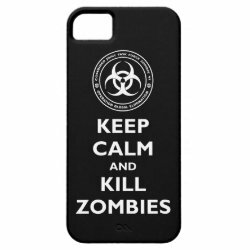 Kill Zombies. 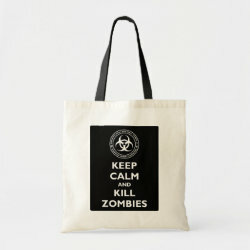 This life-saving advice More... is featured on this parody design based on the classic Keep Calm and Carry On posters from the UK. 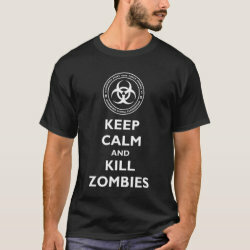 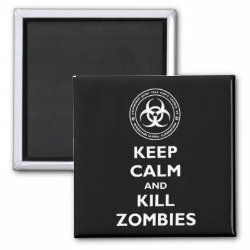 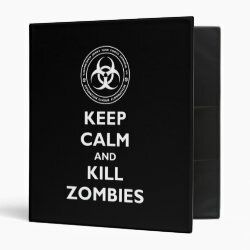 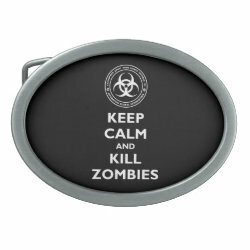 The text "Keep Calm and Kill Zombies" is accompanied by a biohazard / quarantine icon encircled with the text: "Combined Joint Task Force Zombie VI - Operation Global Elimination". 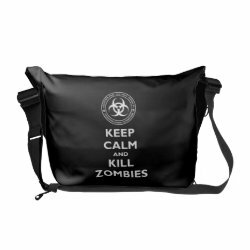 Whether you're just a fan of The Walking Dead and like to watch zombies on TV, or you are seriously concerned about the coming zombie apocalypse, this section contains some great customizable zombie merchandise for you and your friends.